Gross Weight (GVWR) 7620 lbs. Make the most out of every season with the incomparable 2018 Keystone Bullet 277BHS! It's an ideal Travel Trailer for long-distance trips and family camping adventures! You can find this quality RV at National RV Detroit, located at 44700 N I 94 Service Dr Belleville Michigan 48111! We sell top RV brands at wholesale prices, making us a top Detroit RV dealer! 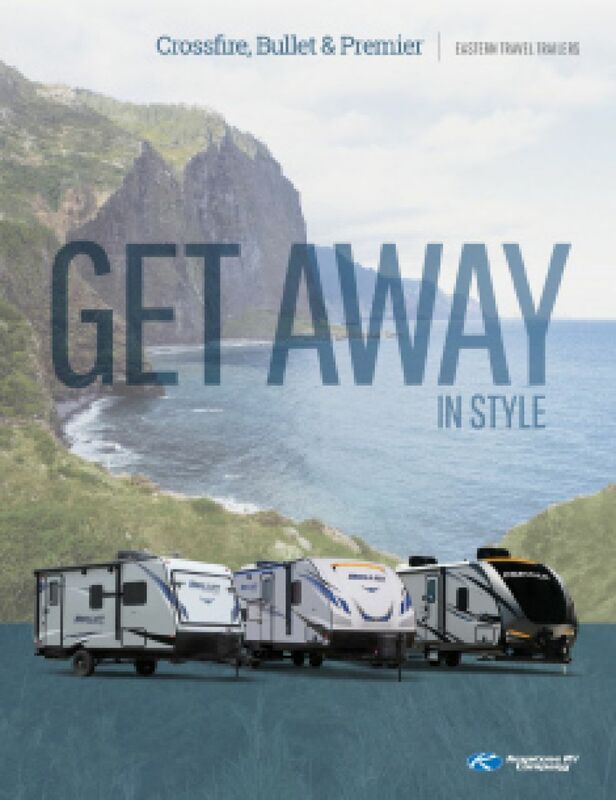 If you don't live near Belleville or the Detroit area, we can still bring your dream camper to you with our 24/7 delivery across North America! So give us a call at 734-439-3400 to start your road to RV fun today! Once you've reached your destination, you can easily pop out the 20' 0" awning and enjoy some welcome shade and UV protection! This rig has a GVWR of 7620 lbs. and a hitch weight of 620 lbs. The 1 slides maximize the living space in this 31' 7" long, 8' 0" wide Travel Trailer! Even if the weather outside is frightful, the interior stays temperature-controlled with the 13500 BTU a/c unit and 30000 BTU furnace. Even if your whole family takes refuge inside, you won't be feeling cramped! 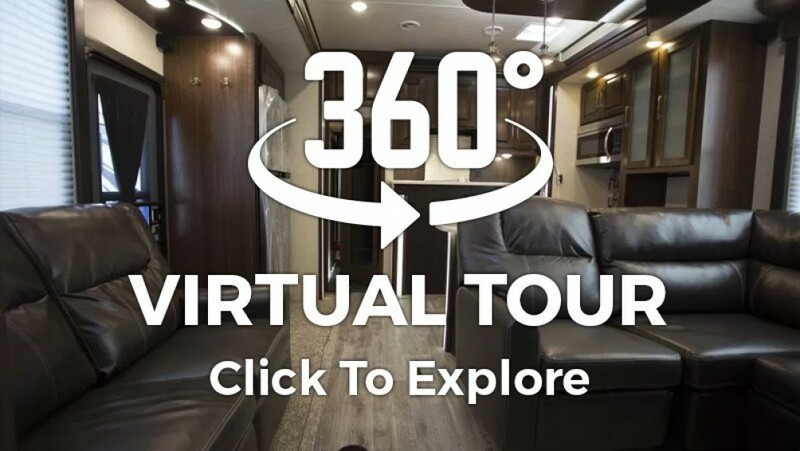 This RV is 31' 7" long, 8' 0" wide, and 10' 8" high! Enjoy a great night's slumber in this cozy camper that sleeps 9 people! The master bedroom has an extra comfortable Queen bed! 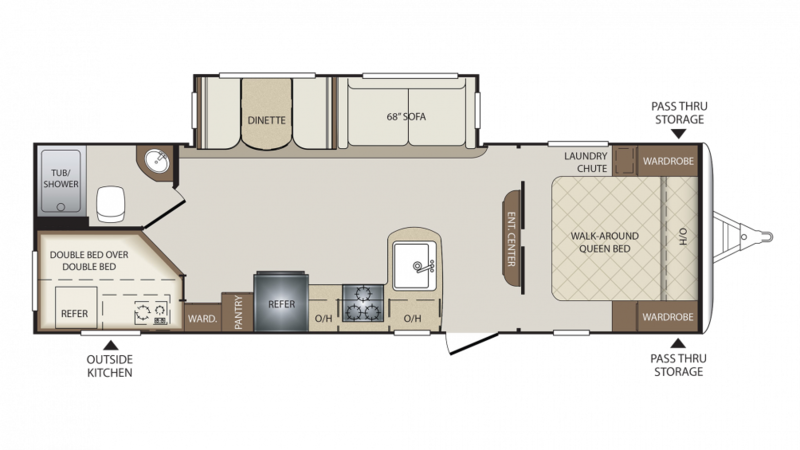 There is a kitchen in this RV that's fully stocked with modern cooking appliances, so you can enjoy healthy, hearty meals at any time! You can store all of your fresh produce, meats, and drinks in the 6.00 cu. ft. refrigerator! If you want a hot, sizzling meal for dinner, whip something up on the 3 burner range cooktop! Before you leave home, make sure to fill up the 43 gallon freshwater tank for an abundance of clean water on the trip! The community bathrooms in most campgrounds are often cold, damp, messy, and crowded. Well, you can say good-bye to that unpleasant experience thanks to the full bathroom in this terrific RV! Enjoy a soothing shower, morning, noon, or night! Take advantage of the sleek, easy to use Foot Flush toilet! There's plenty of hot water to go around from the 43 gallon freshwater tank and LP tank capacity of 40 lbs! This RV also has a 60 gallon gray water tank and a 30 gallon black water tank. Check out the bunkhouse and you'll see comfortable Bunkbeds! There's a total of 3 beds throughout this comfy camper! Enjoy hot meals and cold drinks out in the fresh air and sunshine! They're easy to whip up with the outdoor kitchen!